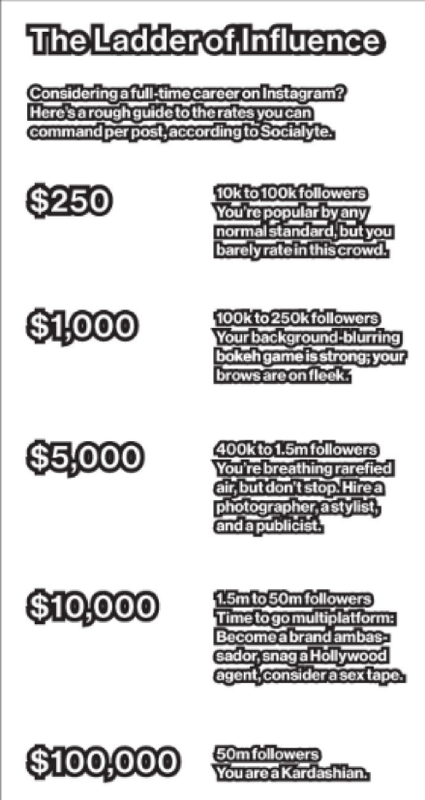 Seeing the Kim Kardashians of the world, how to make money on Instagram is a question at the front of many new Instagram users’ minds. While there is no guaranteed path to making money on Instagram, one of the most reliable methods is influencer marketing. Influencer marketing consists of advertisers paying regular people on Instagram to do sponsored posts showcasing their products or services. The reason it’s so popular is because of its effectiveness. Influencer marketing turns the business-to-customer interaction into a friend-to-friend interaction. 30% consumers are more likely to buy a product recommended by a non-celebrity blogger. Instagram is a social platform. When you follow someone on Instagram, you come to see that person as a friend. So when that person you’re following starts talking about and showcasing the newest skincare product they’re using, you’re much much more likely to listen to that person than the creator of the skincare product. Building your Instagram to a point where you can make money from it requires planning from day one. What kind of sponsors do you want to attract to your page? Your answer to this question will dictate what kind of page you build. For example, if you want to attract the attention of a business like Nike or Adidas, you would want to build a page focusing on fitness. What are other Instagram pages similar to yours doing that is bringing them success? Specifically pages that already have sponsors? The idea of a competitor analysis is not to replicate your competitors exactly, but rather take the general strategies they are using and incorporate them into your own strategy. What kind of content are they posting? At what times are they posting? How is their bio constructed? How do their post captions read? The idea here is that if a strategy worked for someone and got them to a point where they can do sponsored posts, logically, it should work for you as well. To build your following, you need to create content that resonates with people interested in your niche. Put yourself in the shoes of your audience. As someone interested in fitness, for example, what kind of content would an Instagram page have to have for you to be interested enough to follow that page? If you’re short on content-ideas, you can also look at your competitors to see what other people in your niche are posting. You could have the best content in the world, but if it’s not reaching anyone it doesn’t matter. Attaching the right hashtags to your posts make sure that your content is reaching the kinds of people that you want as followers. For example, if you are creating fitness-related posts but aren’t using any fitness-related hashtags, you’re making it virtually impossible for people in the Instagram fitness community to find your content. And while using high-volume general hashtags like #fitness is definitely a good start, if you don’t also include smaller, more specialized hashtags more specific to your individual posts, you risk having your posts constantly be drowned out by the hundreds of thousands of other posts using #fitness. For example, if you are posting a photo illustrating the correct way to perform a squat, in addition to using a hashtag like #fitness, you could also include a smaller hashtag like #squatforlife. This way, in addition to any general traffic you might get from #fitness, you’re also making your posts your visible to a much more specific group of the fitness community who are more likely to appreciate your post about squat form. According to Hootsuite, the use of around 9 hashtags tends to results in the most amount of engagement. Try to include a mix of popular-but-general and less-popular-but-specific hashtags. Using the right hashtags and creating the right kind of content is so that when you do grow your page to an appreciable size and sponsors begin looking at you, they can see that the kind of people who follow you match up with what those sponsors are looking for in their own audience. Search a keyword related to your niche. Note all of the most popular keywords that result from your search. Tap a popular hashtag and note all of the related hashtags (shown in a horizontal line under the main hashtag). Repeat this process with all main hashtags, and then again will all related hashtags. At the end of this process, you should have a large list of relevant hashtags that will put your posts in front of your target audience. Hashtags are one way that people can discover. Engaging with people in your community is another. Neil Patel found that for every 100 likes, he received roughly 6 followers. Take the hashtags that you discovered through your research above and start engaging with people using those hashtags. This way, when you begin gaining followers from your engagement, you know you’re likely getting followers who fit your demographic. If you’re strapped for time, you can use a tool like TagScout to automate this process and begin automatically engaging with your target audience through Likes, comments, and DMs. If you’re doing the above steps correctly, 8/10 times sponsors will begin contacting you. This was a brand that reached out to my fitness apparel page. My page had only been in operation for five months and had just over 1,000 followers. In same cases, however, it can pay to reach out to sponsors yourself. This doesn’t always have to begin with a direct DM asking if they can sponsor you. This can come across as desperate. 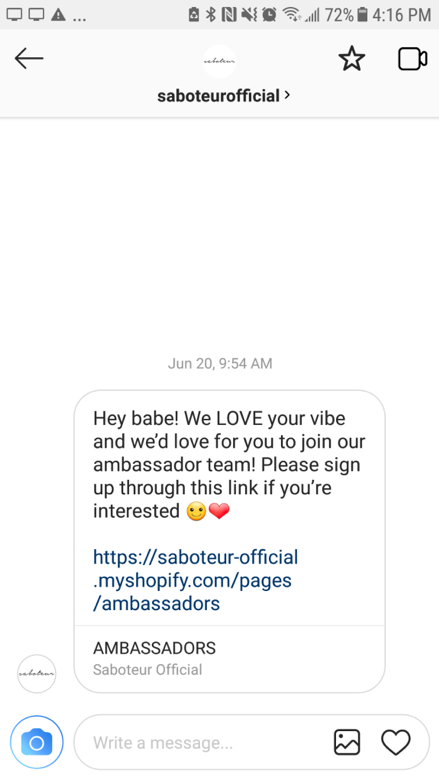 If after building a sizable audience relevant to your sponsor your dream sponsor still isn’t sliding into your DMs, then here’s what you can do. If you’re not doing it already, start commenting and/or answering people’s questions under your dream sponsor’s posts. If your dream sponsor sells products, buy their product, post about your experience, and tag the sponsor in your post. After enough of these types of things, you can then upgrade to DMs. You can certainly send out DMs to every potential sponsor one-by-one, but to save you the time and effort you can also use a tool like TagScout to automatically send out hundreds of DMs a day. When these sponsors check out your page and see that 1) you post content that is relevant to their brand, 2) that your followers fit with their target audience perfectly, and 3) that you’ve already purchased and praised their products, it makes the decision to sponsor you that much easier. The above steps won’t transform your Instagram page into a money making machine overnight, but with enough time and energy they are bound to help you start getting paid to post on Instagram. Have any tips or suggestions not explored above? Have you successfully (or not successfully) grown an Instagram page into a reliable source of income? 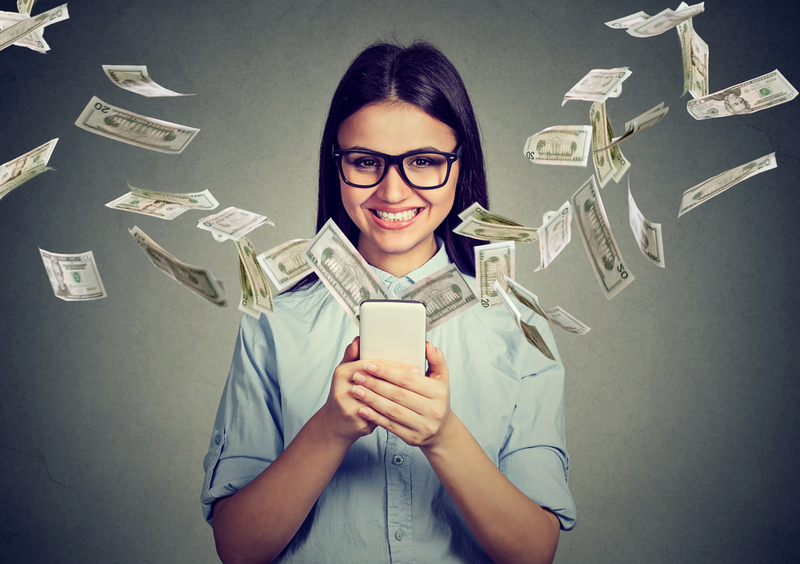 Know a way of getting paid to post on Instagram that doesn’t involve influencer marketing? We’d love to hear from you. Open offices versus traditional office spaces – which works best?